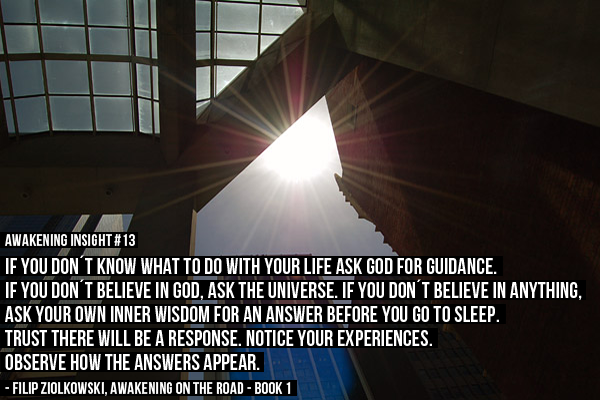 AWAKENING INSIGHT #13 If you don´t know what to do with your life ask God for guidance. 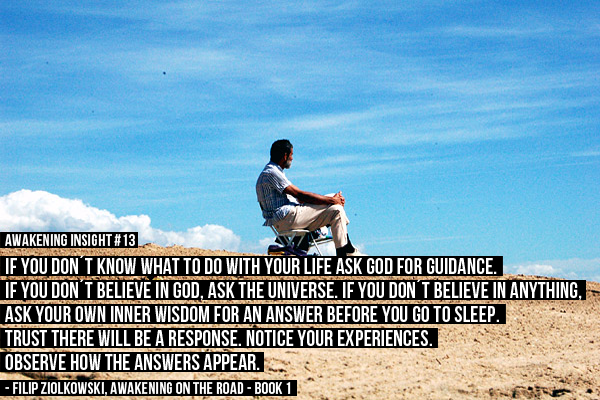 If you don´t know what to do with your life ask God for guidance. If you don´t believe in God, ask the Universe. If you don´t believe in anything, ask your own inner wisdom for an answer before you go to sleep. Trust there will be a response. Notice your experiences. Observe how the answers appear.